The black Mother-of-Pearl and pave diamond petals of this adjustable chain bracelet from Marco Bicego's Lunaria collection were stirred by the designer's passion for nature. 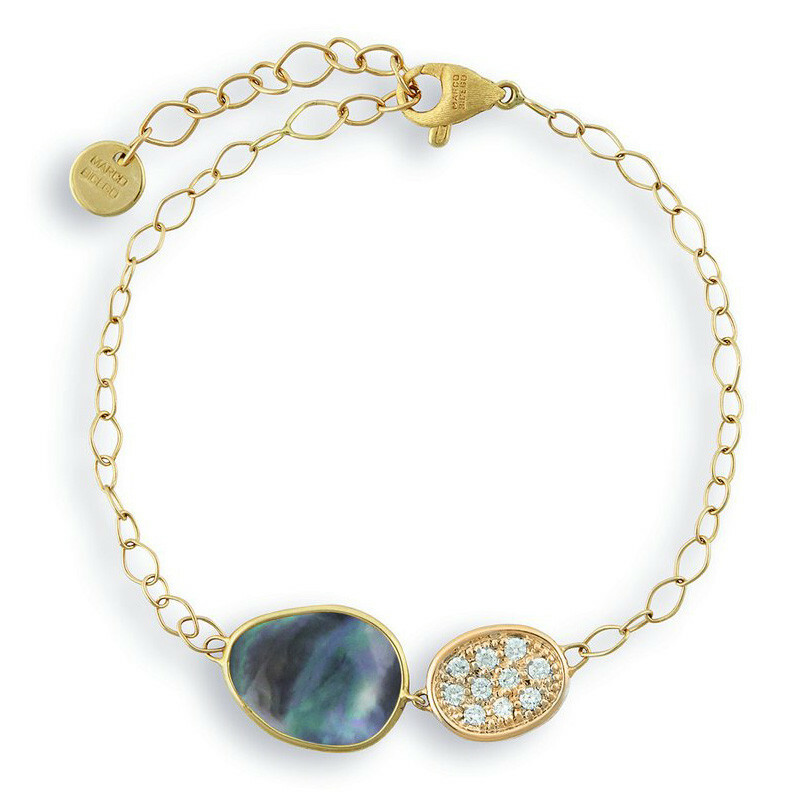 The 18K yellow gold piece of jewelry was forged by Italian artisans, using the time-honored bulino technique of hand- hammering and engraving to frame the gemstones. This Marco Bicego bracelet will be a perfect fit for your wrist and lifestyle!